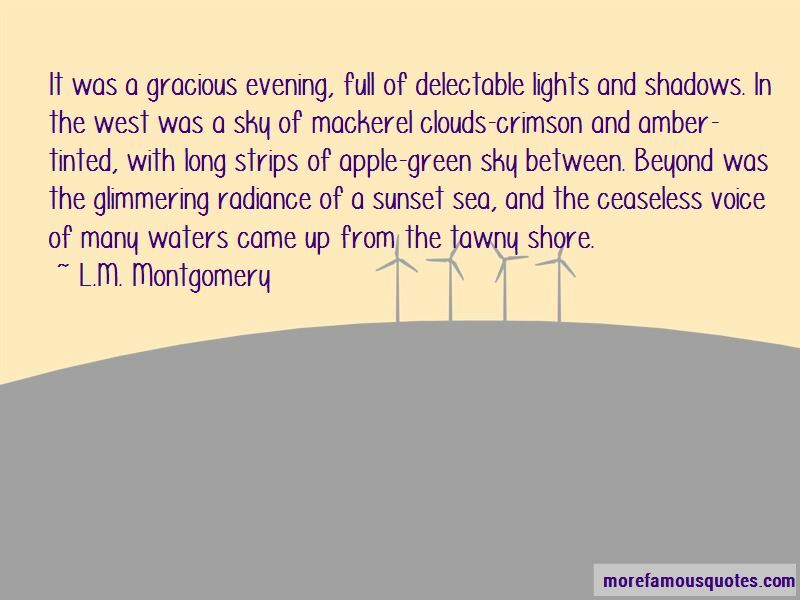 Enjoy reading and share 4 famous quotes about Mackerel Sky with everyone. 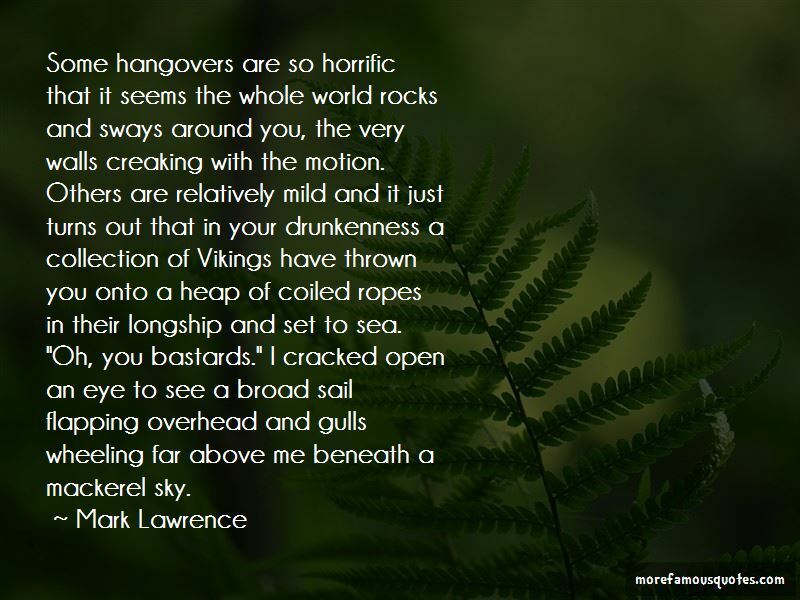 “Some hangovers are so horrific that it seems the whole world rocks and sways around you, the very walls creaking with the motion. Others are relatively mild and it just turns out that in your drunkenness a collection of Vikings have thrown you onto a heap of coiled ropes in their longship and set to sea. 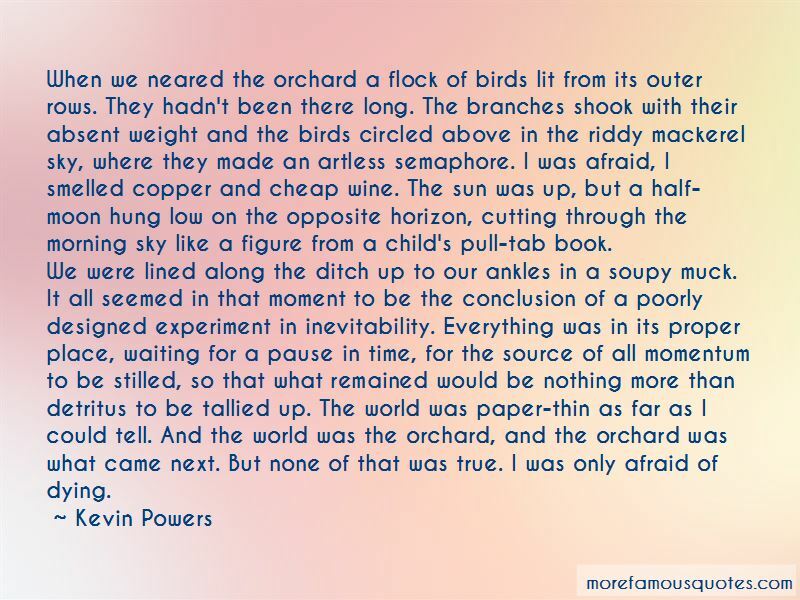 “When we neared the orchard a flock of birds lit from its outer rows. They hadn't been there long. The branches shook with their absent weight and the birds circled above in the riddy mackerel sky, where they made an artless semaphore. I was afraid, I smelled copper and cheap wine. The sun was up, but a half-moon hung low on the opposite horizon, cutting through the morning sky like a figure from a child's pull-tab book. Want to see more pictures of Mackerel Sky quotes? 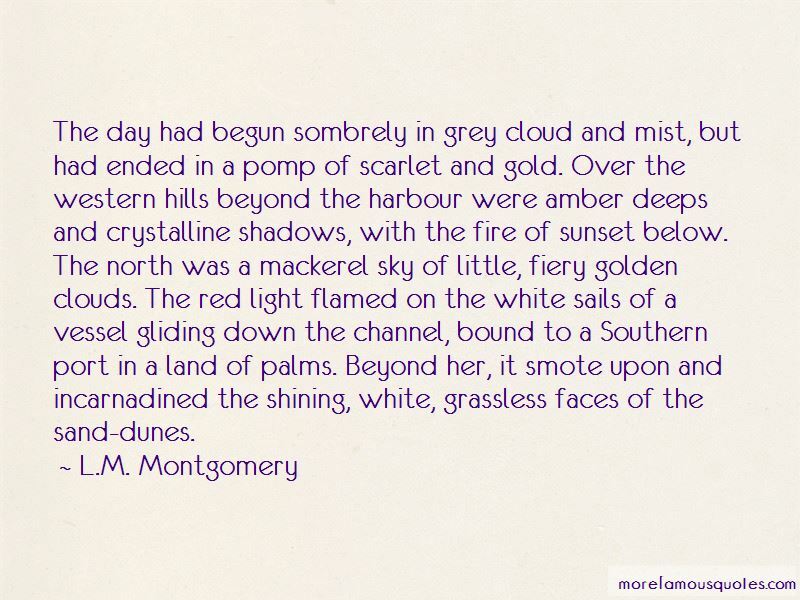 Click on image of Mackerel Sky quotes to view full size.